Which Type of Hair Brush Is Right For You? Hair brushes come in thousands of shapes and sizes and utilize many different bristles to care for a variety of hair styles. If you have just one brush that you use on your hair, you need to rethink your strategy. Hair needs to be treated differently based on its condition (dry/wet/thick/thin) and the style you are trying to achieve. The distinguishing factors between brushes are the bristles and the brush shape (or design). I’ll explain the purpose of each design and you can decide which bristle/shape combination is right for your hair. Nylon is used to describe any bristles that are made of plastic, nylon, or rubber. These bristles come in a wide range of styles ranging from soft and flexible to solid and rigid. The harder and closer the bristles are placed, the more control you will have over your hair. These bristles are best used for simple, everyday grooming. They are perfect for a quick detangling session before work or school. Additionally, wide set nylon bristles are extremely effective for detangling thick hair that may be too stubborn for more dense bristles. These bristles are made out of real boar hair! They are extremely soft and actually help create shine in your hair. Because boar hair is so soft and delicate, manufacturers typically mix in nylon or plastic bristles so that the boar hair does not break so easily. Boar bristles redistribute oils throughout the hair while improving hair texture and reducing fizz. They are not designed for detangling. 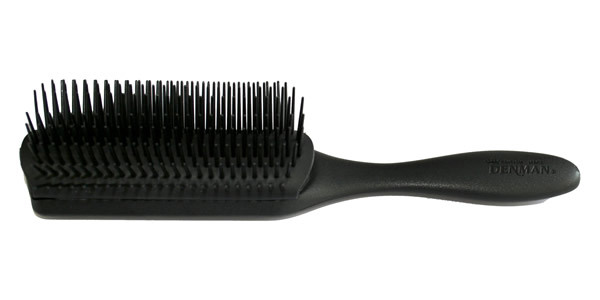 These bristles are designed to style, control, and can even clean your hair. Fortunately, these bristles don’t come from a real porcupine. It turns out that someone thought that multiple bristles being group together on a brush created a porcupine-like texture. 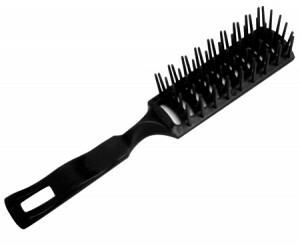 In most cases, boar and nylon bristles are grouped together to create a porcupine brush. The porcupine bristle design works well for multiple hair styles. Porcupine bristles are great for controlling thinner hair, but can also thoroughly brush thick hair. Different combinations of brush designs and bristle densities will lead to very different types of hair. It is wise to have one of each of these brushes so you are ready for any hair care dilemma that comes your way. 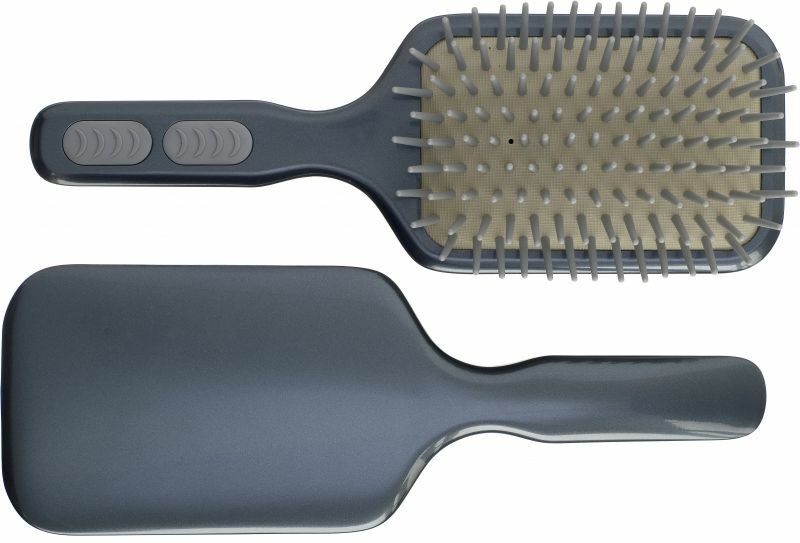 This is the paddle type brush that contains an air cushion that deflates and fills back up as you are brushing your hair. This is extremely valuable because the brush naturally compensates for when your hair is being tugged on too hard. This helps prevent damage like tearing and splitting. Cushioned brushes are fantastic for detangling. Vented brushes usually have widely spaced bristles. They have openings in the head of the brush (where the bristles are) and allow great airflow while the brushing is taking place. Vented brushes are perfect for wet hair because the wide spaced bristles will not damage the hair and the ventilation supplied by the brushes shape allows for a quicker drying process. These brushes are extremely useful for creating complex and smooth hairstyles. Classic styling brushes have slightly rounded heads which are rubberized. 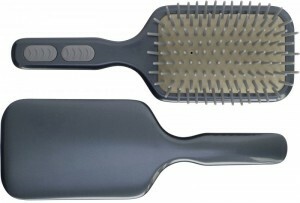 This allows for more flexibility when brushing the hair and decreases the chance of hair damage. Round brushes are shaped like a cylinder and bristles the bristles go completely around the head of the brush. 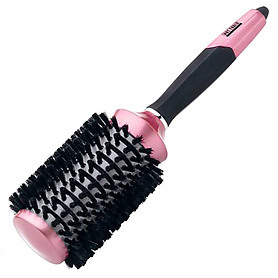 This allows for a greater range of movement when brushing your hair. These brushes usually have multiple bristles that are grouped together (porcupine) and are great for adding a slight wave or curl to your hair. If you are still not sure which brushes would be right for your hair, the experts at Threads will be happy to assist you with any hair care needs.